Oleta Mae Reighard of Swanton peacefully passed away at Hospice of Northwest Ohio in Toledo on Thursday, January 31, 2019 at 89 years of age. Born May 31, 1929, Oleta was the daughter of Harry & Leora (Burkey) Deck. She graduated from Delta High School in 1947 and went on to receive her B.S. in Education from BGSU. She taught 3rd and 5th grade elementary school in the PDY and Wauseon school districts. Oleta married the late Gene Howe on January 7, 1955. Together they shared a daughter and over four years of marriage before Gene’s passing. Oleta married Donald Reighard on December 24, 1960. During their 50 years of marriage they raised two daughters and were blessed with nine grandchildren. 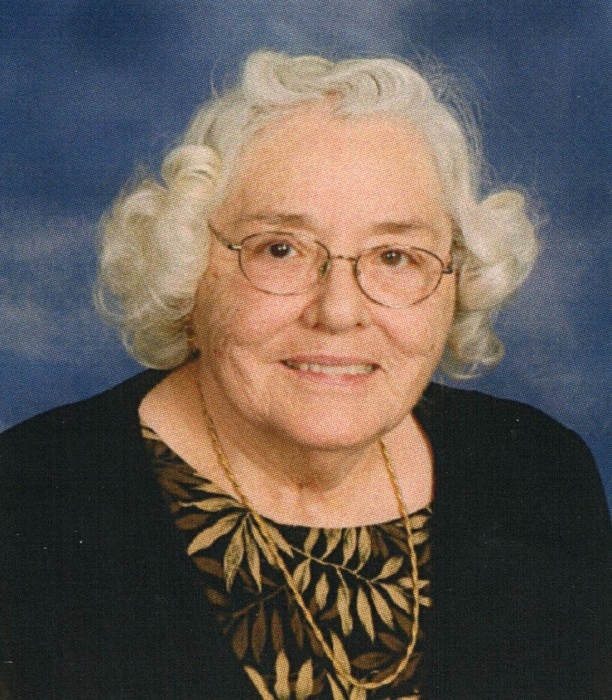 Oleta was a faithful Christian, serving her church community as a librarian, Sunday school teacher, choir director and author of children’s spiritual books. She was also known in the community as an avid gardener, accomplished seamstress and talented cook. Oleta is dearly loved and remembered by her family; daughters, Teresa (Gary) Mann and Melanie (Dean) Witt; brother, Donald Deck; grandchildren, Alyssa (Jonas) Knowlton and Jeremy Mann, Keegan, Makilah, Jadrien (Lily), Uriah, Isaiah and Ramah Witt; great grandchildren, Zȅiss and Tesla Knowlton and Adelynn Witt. She was preceded in death by her husbands, Albert Eugene Howe and Donald Herbert Reighard and granddaughter Mattea Witt. Friends and family will be received at the Barnes Funeral Chapel, 5825 St. Hwy. 109 in Delta on Sunday, February 3, 2019 from 1:00 PM – 3:00 PM. Graveside services will held at Dutch Ridge Cemetery at 10:00 AM on Monday, February 4, 2019. Those planning an expression of sympathy are asked to consider the Hospice of Northwest Ohio, 800 South Detroit Ave, Toledo, Ohio 43609 in her memory. Online condolences may be sent to the family through our website at www.barnesfuneralchapel.com.